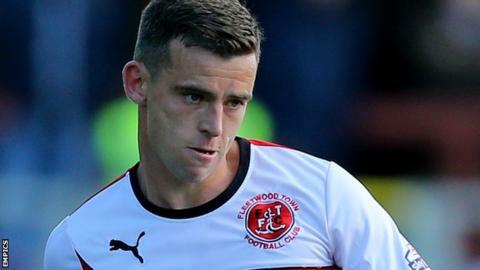 Fleetwood Town would be play-off contenders had they not thrown "silly points away" on their travels, says midfielder Steven Schumacher. The Cod Army sit eighth in League One, eight points outside the top six. Graham Alexander's side were promoted last term to reach the third tier for the first time in their history. "We've been beaten away from home three or four times where I think, 'we should not have lost that,'" Schumacher told BBC Radio Lancashire. "I feel as though where we are in mid-table as that is where we deserve to be, because we've given silly points away," he added. "If we had a little bit more experience and nous, then we would have picked points up away from home where we've lost them." Fleetwood face Doncaster, Colchester and Port Vale in their final three games of the season.